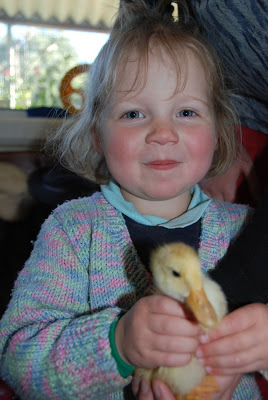 My Muddy Puzzler only had one request for her 3rd Birthday – Ducks. 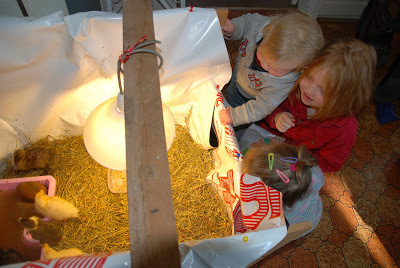 Our first attempt at the Poultry Auction was a sad outcome, we came home with nothing. 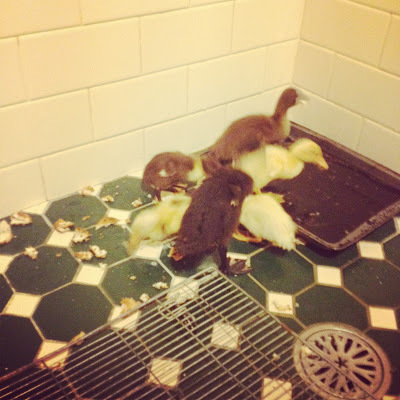 Now, however I’m quite pleased we came home with nothing, because I found 6 little ducklings to fulfill the request, and to top it off they’re my FAVOURITE type of ducks. They are Indian Runners, they can’t fly, so they can’t escape on me, they’re great for training your sheep dog (so Muddy Hubby is happy), and they are so good looking and friendly once you’ve got them used to you. They had a long trip to make it home to our house, I picked them up and they attended their first baby shower, before spending the night in Nana’s shower recess, then a 6 hour drive home. They were very pleased to be put in their new home, have something to eat and a nice bath and drink, before the Muddy Kids started the cuddles! They have kept the Muddy Kids entertained for hours, just sitting and watching, or sitting and holding. Muddy Bubby has tried to climb in with them a few times, or tried to pull down their light, but he’s getting used to them. 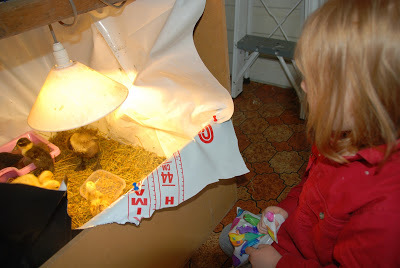 There’s one little duckling we’re keeping an eye on, she’s a little bit smaller than the others, the runt of the bunch. My Muddy Organiser has named her Sprinkles and yesterday she was being bullied a little bit, today the other ducklings are being a bit nicer, she’s getting something to eat and drink and seems to be growing and happier. There’s no doubt about it, they’re a very welcome addition to our Muddy Family. 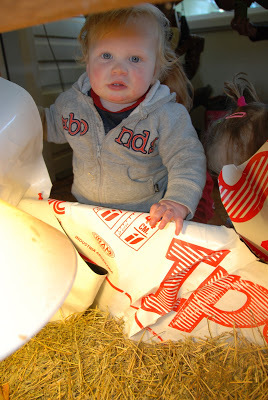 This entry was posted in Farm, Kids Play, Muddy Bubby, Muddy Organiser, Muddy Puzzler, Photos on August 14, 2012 by nat. 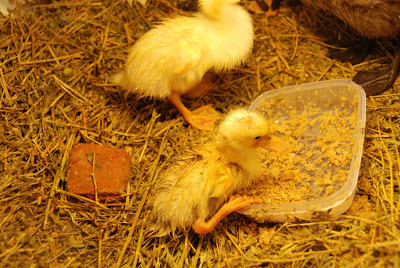 Sparkes = awesome name for a runt ducky! 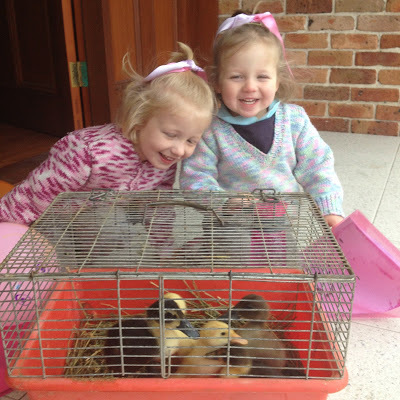 Great photos – love the one of the duck feeding and the very happy grins on the girls. Incredible how natures babies make us feel – oohing and ahhing.